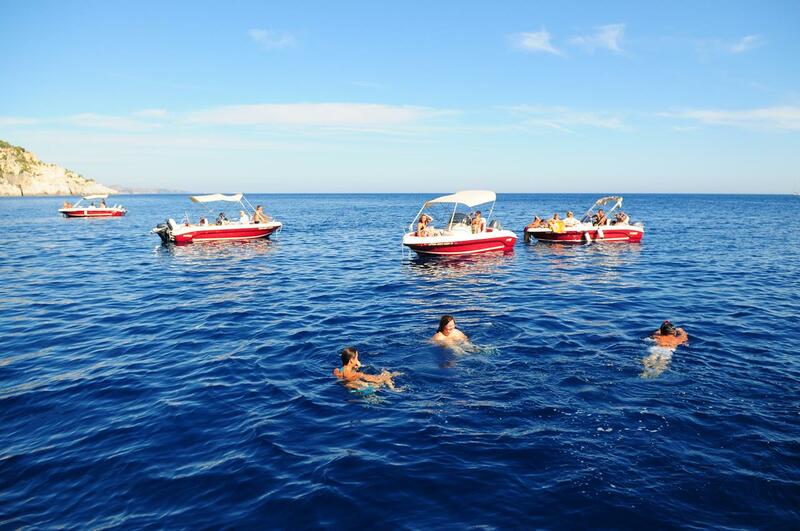 The dream of spending a day on a private boat can now come true in the most affordable way! 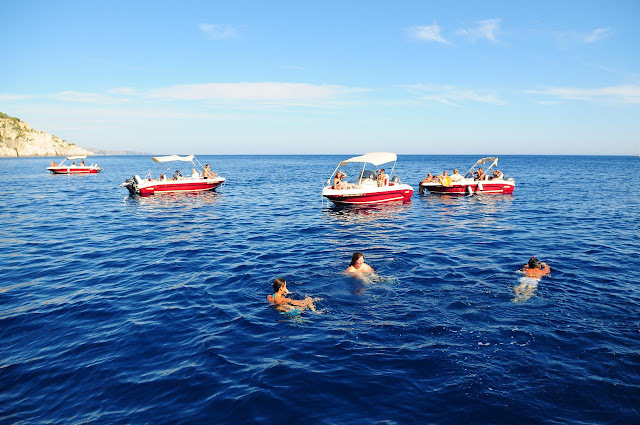 By renting a private boat you will have the chance to sail along the Zakynthian coasts and see some amazing places. No license is required for this specific trip, while as soon as you are on board both the boat and you are fully insuranced. In case you need a skipper there is one available on the extra charge of € 30. The fuel is included in the price of the excursion! The boat sets off from Keri a coastal village. The moment you arrive our instructors will show you how to sail the boat take you on a trial go. They will also inform you about the weather conditions! Laganas Gulf: sandy beaches and the Caretta - Caretta turtles swimming next to the boat. Marathonisi: a small deserted island.There is always someone there to help you get off the boat. Cameo: a tiny island with a cafe on top and a panoramic view of Laganas gulf. Marathias: a unique beach with cool sea water! Kamares: (arches) sail through them and feel like the sailors of the old times! Mizithres: two huge white rocks standing in the middle of the sea looking like they have fallen off the sky! 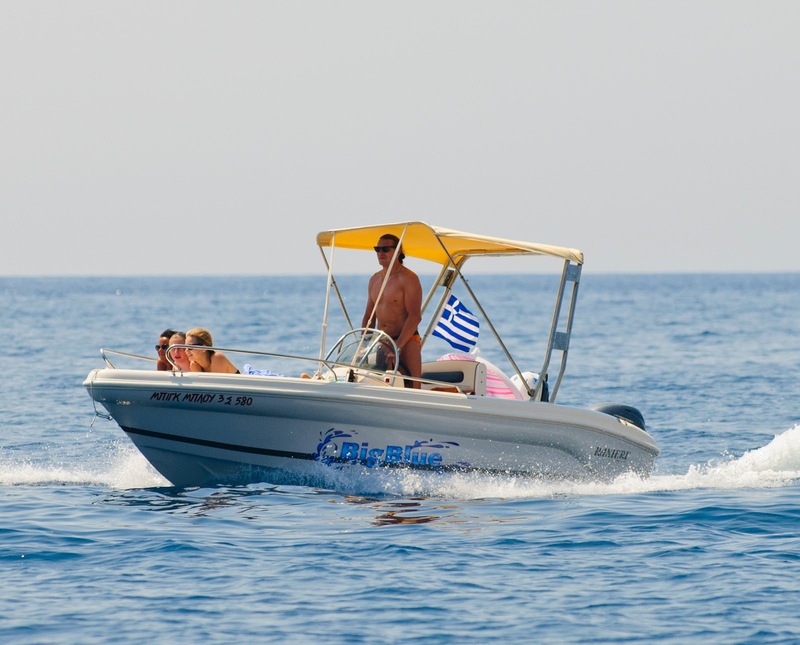 All the boat are equipped with a GPS gadget while for safety reasons there is always an inflatable boat, sailing as well. You can have the boat till the sun sets. To book a trip, please contact us daily from 09:00 a.m until 12:00 at night time. It is an exceptionally safe affair, and incorporates into reality, various littler, and generally, uninhabited islands, which have volcanic starting points. This is do nice service and suitable price for couples can enjoy their holiday with nice sea, nice food and nice weather.